When I am riding my bike, I feel free, strong, limitless. I think that this is a feeling everyone should experience, and feel safe and comfortable doing so. Being with Alta, I am able to help create that experience for others by designing facilities they will want to ride and walk on, and that is such an inspiring thing to do. 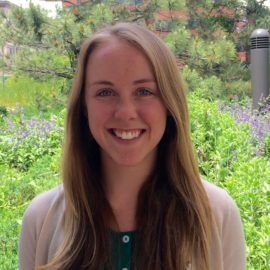 Chloe joined Alta in 2016 after discovering that her passion for active transportation could be translated into her career as an engineer. With previous transportation engineering experience, Chloe brings knowledge of roadway and trail design, signal layouts, traffic modeling and analysis, construction document production, and working with local Departments of Transportation.